When you click on a lead that's in the "Open" status, you'll see a "Reply" button you can click to send a reply. We recommend clicking "Send and Close Lead" when you send a reply. 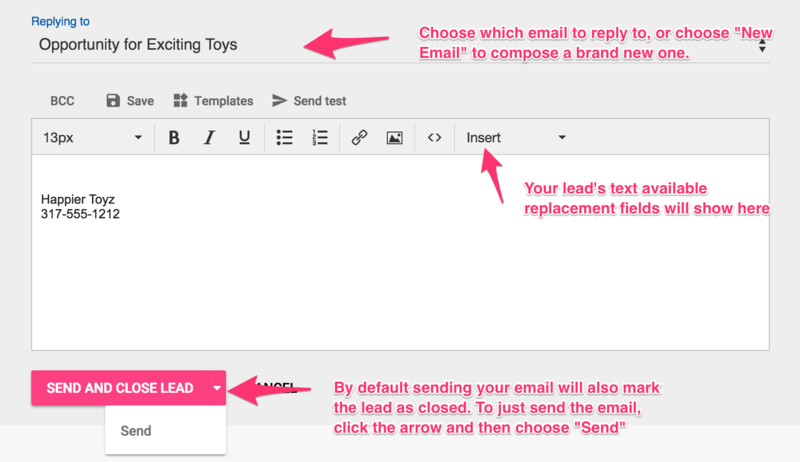 If your recipient responds back, it will automatically re-open the lead so it will show in your Lead Catcher queue again.